Last year's report is full of insight and actionable data to help you take the next step in growing your business. Learn the tools and practices needed for sustainable growth and a healthy company. Although many think that growth is all about increasing top line revenue, the data says it’s actually about creating the conditions inside the business to support and sustain growth. In this webinar we reveal how you can quickly identify the most important activities in marketing and technology for increasing sustainable revenue growth in 2013. 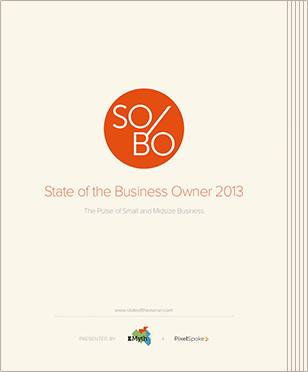 The SOBO 2013 survey revealed nine key elements that affected business’ ability to reach their profit goals. Why do they work? Because they address root causes, rather than symptoms.